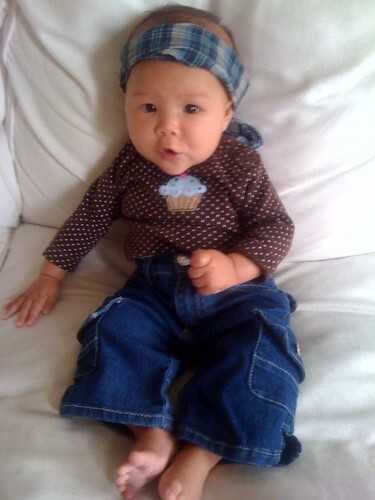 Baby + cupcake outfit = guaranteed adorableness. This wee bit-o-wonder (her name's Viola!) thanks to DrewVigal and the Cupcake Gang. Aww the baby. Shes so cute.